Get India's all Desh Bhakti Naare, Patriotic Slogans which are delivered by Freedom fighters. 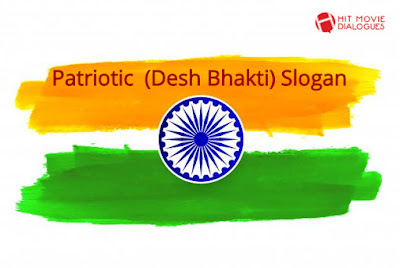 Here you can find about 30 slogans which are given by our freedom fighters like Mahatma Gandhi, Netaji Subhash Chandra Bose, Bhagat Singh, Lala Lajpat Rai and others, they sacrifice himself for freedom of India. During fighting with English Men, they gave some patriotic slogan which made him stronger. we bring you the list of slogans that are gifted to us by our freedom fighters and leaders who whole-heartedly sacrificed their lives.